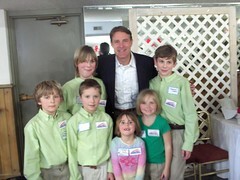 We attended a fundraiser this afternoon for Betsi DeVries of Manchester's Ward 8 who is running for State Senator. The featured speaker was Senator Evan Bayh of Indiana. See the complete photo set here.